WelCom July 2017: Hundreds packed Wellington’s Sacred Heart Cathedral on Sunday 4 June to witness what could be described as a second Reformation. It was New Zealand’s formal commitment to healing the divisions of the Reformation: the 500 year-long separation of Lutherans and Catholics. The atmosphere was joyful, positive and affirming. In response to the karanga, Cardinal John Dew and Lutheran Bishop Mark Whitfield moved forward in the Cathedral with the congregation, lifting their ‘hearts and minds and voices’ together, in song and prayer, shoulder to shoulder. Priests, pastors, minsters, religious and congregations from many Christian denominations were there, showing their support and praying for Catholic and Lutheran unity. They included Assyrian Christians from the ancient city of Niniveh, Anglicans, Presbyterians and Elim Pentecostal faithful, along with Wellington’s Mayor and diplomatic representatives. 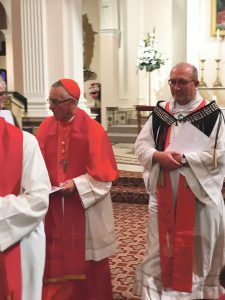 Cardinal John said the ecumenical service was ‘a significant milestone for New Zealand’s Catholic and Lutheran communities,’ signaling a commitment to ongoing bridge-building between the Churches. The text of the ‘common prayer’ used in the service was selected by the Liturgical Task Force of the Lutheran-Roman Catholic Commission on Unity. ‘This liturgical order…offers an opportunity to look back in thanksgiving and confession and look ahead, committing ourselves to common witness and continuing our journey together,’ Cardinal John said..
Bishop Whitfield said, ‘I am delighted we have opportunity in this Reformation Commemoration Year to celebrate our common baptism into Christ and to worship together. The movement towards Lutheran and Catholic Church unity is part of a wider movement to unite all Christians. 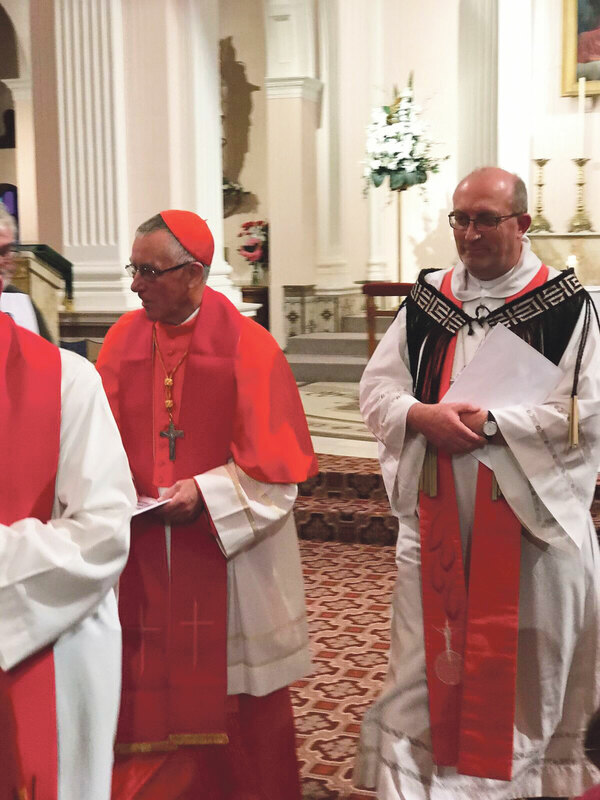 In New Zealand, Cardinal John says, ‘we have had dialogues with the Anglicans, Presbyterians and Methodists…and now… we officially start working, praying and discussing with the Lutherans as we continue to work towards Christian Unity’.